Just because a region makes great wine doesn't mean it's exciting to order. It would be easy to list the top 5 California wine regions by production size or by 100-point scores. But which 5 California counties add the most thrill to a wine list? Excitement comes from some combination of quality, uniqueness and scarcity. I could drink Schramsberg Blanc de Noirs all day, but it's not unusual. Even people who love Silver Oak Cabernet, admit it, does seeing it on the list make your heart beat faster? That's why the Lake Vineyard wine from Diamond Creek is the winery's most exciting; they don't make much and they don't make it every year. But obscurity by itself isn't enough. I'd probably order a Grenache Blanc from Calaveras County, but only if I really trusted the sommelier. I could divide this by wine regions; the words "Sonoma Coast" make my heart beat faster than "Sonoma County." And maybe I will in a subsequent post. But for now, here are the 5 Most Exciting California Counties on a Wine List. This is such a young region; people are still figuring out what's best. It's home to great Syrah and some nice cool climate Pinot Noir and Chardonnay, and new labels pop up as fast as dreamers can create them. I'm still jazzed about even the "standards," like Qupe and Au Bon Climat. Winery to try: Luminesce Cellars. One of the least-known great wine counties in America, despite the fact that Ridge Vineyards has been there for 40 years and Bonny Doon knows a little about marketing. I know the terroir is good, but I don't know most of the wineries on the Santa Cruz Mountains winegrowers list. That's an intriguing combination; if the sommelier liked the wine enough to buy it, I want to try it. Winery to try: Testarossa. The Pinot Noirs from Anderson Valley have always been good and seem to be getting better as wineries get more knowledgeable about viticulture. I also find the other areas of Mendocino fascinating. Eaglepoint Ranch, for example, is in a warm spot of this foggy, cool county and grows some of the best Sangiovese and Petite Sirah in the state. Mendocino on the list gets my attention. Winery to try: Black Kite. Sonoma Coast is a boondoggle of an appellation map-wise, because Gallo got it gerrymandered to include areas far from the coast. But some of my very favorite California wines come from here and I'm never going to ignore a Sonoma Coast Pinot Noir, Syrah or Chardonnay. And that's only one subappellation. For Cabernet and Merlot drinkers, Napa is easily the best winegrowing county in California. For everybody else (including you Chardonnay drinkers), it's Sonoma. Winery to try: Wind Gap. I started off this post with Marin in the No. 7 spot but the more I thought about this question, the way I defined it, the more I realized that if there's a Marin County wine on the list, I'll order it. There's hardly any wine made there and the region has great cool-climate terroir. On a trip to the French Laundry, with its awesome wine list, I got into a 15-minute conversation about a Marin County Gewurztraminer that the sommelier was as jazzed about as I was; apparently only one barrel was made, and the French Laundry snapped up all it could. That's excitement. Winery to try: Sean Thackrey. Honorable mention: Everywhere else. Particularly Alameda County, which would rate higher if the exciting wineries of Oakland used more local fruit, and Napa County, which makes as many good wines as any county in California, and still produces plenty of obscure gems that make my pulse race faster. Any wine from Bien Nacido Vineyard on a wine list gets my heart racing and is an automatic 'buy' regardless of the producer. To a slightly lesser extent, the same is true of Sonoma Coast AVA. wow, that's an eye opening. I've never payed attention to the Marin County AVA, started to read a little about it today. So curious to try the wines. Are there any other AVAs within Marin County? I bought the Sean Thackrey "Pleiades XXI" for $23.99 at K&L, good price. He doesn't disclose the blend but it seems to be a blend of Sangiovese and Pinot; can't wait to try it! Dapz: Sean basically puts his leftovers into the Pleaides, so you can never tell for sure what's in it. I've had some that was very good, but to really appreciate his wine, you have to get the more intentional stuff. Re Marin County sub-AVAs: There are so few vines there that there's no need to apply, plus most of the warm parts of the county are on the east side, covered by housing. Fred: That's loyalty, but I won't go to automatic buy on either -- though I love both -- because there are so many producers of varying quality. Great progress is being made further south in Alameda County in the Livermore Valley. 52 wineries, most very small. 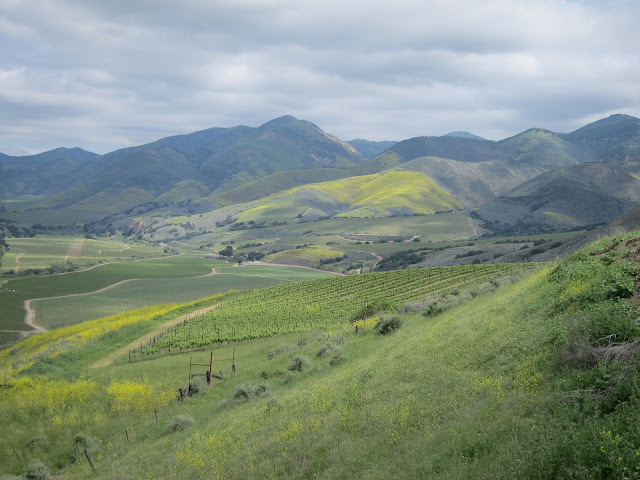 Livermore is much more than a 1 or 2 horse appellation. Hartford Court used to make a tasty Pinot Noir from Marin County that I used to enjoy in the late 90's. Pey Marin makes a nice one too. Testarossa, while part of the Santa Cruz Mountain AVA, is in Santa Clara County, not Santa Cruz County. So, to clarify your intent, would you like to reclassify your suggestions to AVAs instead of counties, change your recommended county to Santa Clara (home to several excellent producers), or suggest some wineries that actually are from Santa Cruz County to try? I recommend Soquel Vineyards and Odonata, for two, but there are many, many others worthy of tasting. Oh, and I failed to point out that Ridge is also in Santa Clara County, though also in the SCM AVA.